Register Log In AmbergrisCaye.com Home Forums Caye Caulker Is Sand Being Transported Off The Island? There are unconfirmed reports that sand is being transported from the Bahia area unto a barge at the back pier to be taken to San Pedro. If it is indeed true, don’t we need this sand for our streets? What does the Village Council think of this? Costs more. You sure on the weight?Here a boatload can be 2to8 cu ft but all the same price. I know because I am the largest buyer of sand in CC history. I put sand into a measuring box with no top or bottom. Those who say they can eyeball six yards have been proven wrong almost nonstop for twenty years. Last edited by Dane; 12/06/13 07:51 PM. With the excessive rains, all across the country, Belizeans are dealing with bad roads. But for a place like Caye Caulker in the pitch of the tourist season where there are no gravel or concrete roads -it's a disaster! 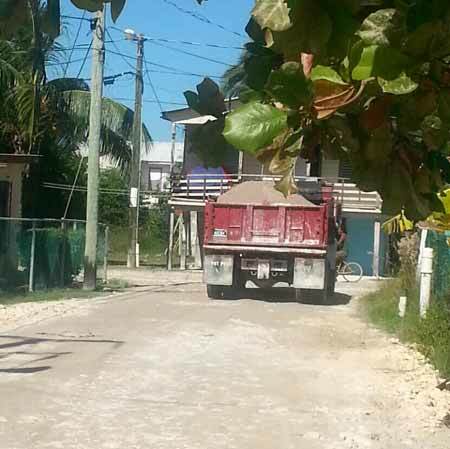 The residents of Caye Caulker took matters into their own hands today and organized their own blockade to stop 2 trucks from removing sand from their island. That was when things came to a head, frustration took over, and they decided they had had enough. For 2 weeks now, they started noticing that trucks were filling up with sand and taking it to a barge, which was transporting it out. They thought nothing of it at first, thinking the Village Council had kicked into gear to fix their damaged streets. They eventually found out that their sand ended up on San Pedro. The outrage spread like wildfire afterwards. "This morning we took it upon ourselves as a village and we all came together and we decided that enough is enough, we will stop this and today will be day we will stop this. We got to the back pier and we decided to block it off. There were two trucks there and we told them that they cannot leave with our sand. We told them to empty their trucks and we will give them a little pass to get on their barge and leave. That's exactly what they did." "As far as I could remember for the last village council, they had permission to stock pile the sand. The dredge digs sand out here from the sea and stock pile on the land of Caye Caulker so that they can use it to spread on the streets of Caye Caulker. I don't know what happen. Two weeks ago, we had a barge here and they took about 20 truckloads and it came yesterday and took another 20 truckloads. Came this morning again and we the people of Caye Caulker decide that enough is enough because we need our sand for Caye Caulker and the sand was going to San Pedro." When they first made the discovery, they thought that it was being stolen. After a vigorous probe for answers, that's when they found out that some private entity had a contract, which they said was secret, which allowed them to take the sand. "I think we are beyond upset at this point in time. We have watch these trucks and this barge moved 40-80 loads of sand per day off our island and if you walk around the island the water is ankle height. Our streets are in horrible condition. Our village council and our minister chose to give our sand to San Pedro rather than fill our streets. I live next to the school and the children go to school in rubber boots because the water is so high. We are asking for the village council to tell us something, we've been behind them for weeks and we've gotten no answers." "We were asking the village council from way before and nobody wanted to comment, nobody wanted to give us an answer, so this was the final straw that we had to take to get some answers." "Every villager has ask us and we've gotten many calls - we have told them the 10%, 90% thing and everybody that we've spoken to understood it. 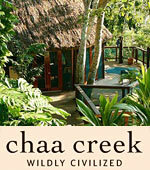 You can ask villagers that have called in or came in to ask us." Today's protest and blockade to stop the removal of the sand led to the group of about 50 residents gathering in front of their village council's office demanding answers. No matter what explanation he gave, they returned a resounding rejection. Their simple logic is, the sand belongs to their island, their streets need it for desperate repairs, and giving it away is just not an option. "This council let us down and I was one that voted for you and I will tell you face to face that you are letting us down." "But we don't own the sand." "Mr. Miller, we own Caye Caulker, you are the chairman, stand up for your people. All of your councilors are hiding." "Are you satisfied with the reasons that your chairman has given to you as to why it needs to leave the island?" "At this point I am satisfied of his reason; his reason being that there is an existing contract. I am not satisfy however because if you have a need then your need comes first." So how did it end up that this private entity, whose moving hand continues to operate from behind the curtains, end up with permission to remove and sell the sand? Well, the chairman says this contract, which wasn't signed by his administration, grants it. "We have a contract with Damien Chamberlin, the guy that dredges. We get 10% of the sand and he gets the rest of the sand to do whatever he does with. Apparently what happens, a Ministry of Tourism project came up in San Pedro and he got a contract to sell some sand. So he came over, move the sand from Caye Caulker (his part of it) to San Pedro. That's basically the gist of the whole thing." "Speaking with you earlier you were saying that the village council only has 10% ownership over the total sand at the pit." "The part of the contract is that whatever sand he dredges; if he dredges 10 truckloads, we get one." The citizens did make a strong point, the streets are in terrible condition, and that sand could definitely be used here on these streets, which have ponds in the middle of them. School children have to use these streets and they can't help but have to trudge through the water with their shoes. "Back in May every street on this island was fixed." "We came in - I think we were sworn in July 18. The record shows that the bank account went from $140,000 to $525.00, which is what we inherited. We asked the Ministry of Local Government where all this money went. The answer being, we fixed all the streets on Caye Caulker." "For me, its common sense; if you have material to fix the streets, then fix the streets. Don't give away the material. Don't take the shirt off your back to give to somebody else because you will get cold and then get sick. I based everything on common sense; you have the material, use the material. In a sense, we are better off than the rest of the country. The rest of the country has to fight for money to get material. Now, we have it, why give it away." "The children go to school and the school yard is full of water. We could use that sand for the betterment of the school as well. We don't need them to be taking it to San Pedro. 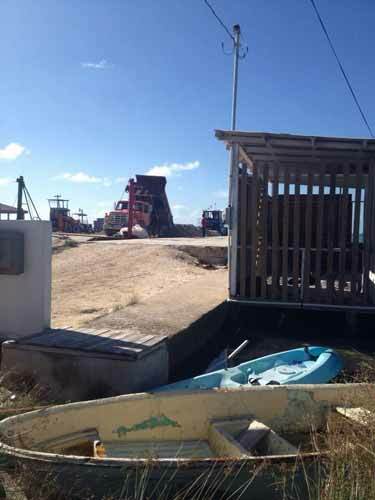 San Pedro can dredge behind San Pedro for their sand, leave what is for Caye Caulker on Caye Caulker." And that leads to their resolve; they will purposefully block the remove of the sand until the contract with the private entity expires, even if they face a lawsuit. "I am satisfied also that he explained that the contract ends December 31st. What happens this morning is a preview to what will happen every time that barge comes. We will stop it right through to the 31st. So that contract will run out and no sand will leave the island, contract finishes, sand stays, we happy." "The first contract was back in 2008 I think. It's been ongoing for many years. The contract goes from January to December, we came in July. The contract will expire in two weeks, it exists. I could do either one or two things; I can break the contract and you know the consequences of that or I could let it run out and re-configure it. It's a simple concept." "Supposed that individual takes legal action against you guys?" 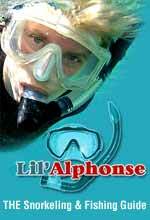 "Well, he is going to take legal against the village of Caye Caulker. How far will he get?" Chairman Wayne Miller showed us the documents of the contract which allows for the sand to be removed. It's important to stress that the private company doing this is not doing anything that is illegal. The document which we saw is a registered quarry permit issued under the Mines and Minerals Act. The permit says that it was, quote, "...issued to Alberto Villannueva on or behalf of the Caye Caulker Village Council to extract, sand, silt, and mud from area A...". End Quote. Seen here on the Map, area A is in a part of the island known as Bahia puesto Del Sol. The document also outlines the lease arrangement between the Caye Caulker Village Council and a company known as, Belize Marine and Sand Company Limited. As Chairman Miller told us in our interview, the company is only obligated to provide the council with 10% of the sand that it has dredged from area A. That converts directly to a ratio of 1 out of 10 truckloads of sand belongs to the council. Miller says that the company is in good standing as outlined in the lease agreement. 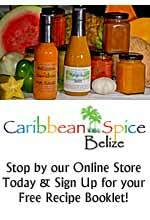 We'll attempt to get in touch with representatives of Belize Marine and Sand Company Limited for tomorrow's newscast. The recent rains have wreaked havoc on the streets in Caye Caulker, but that problem aside, the situation has been aggravated by another issue which is not being caused by nature but is man-made. 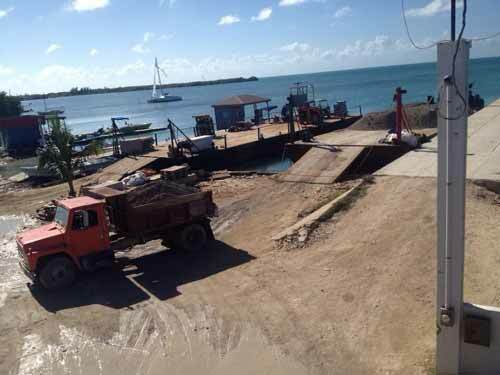 For weeks, residents have been complaining that sand from the island is being excavated and transported to San Pedro when it is badly needed in Caye Caulker. This morning it all came to a head when dump trucks transporting sand to a waiting barge en route to Ambergris Caye were blocked from proceeding. News Five’s Isani Cayetano. Deplorable street conditions, as a result of persistent torrential rains over the past several weeks, are a countrywide problem. While the general issue is being addressed through funding from central government, Caye Caulker residents are very much incensed that it is not being dealt with properly by their local administration. They contend that the sand being excavated and deposited at the rear of the island can be used for urgent repair work. Instead, it is being shipped by barge to neighboring Ambergris Caye. That is, according to village chairperson Wayne Miller, simply because the sand collected is owned by a private contractor. That was around the beginning of December. This morning, another shipment of sand was destined for San Pedro. That freight, however, wouldn’t be allowed to leave the island, as angry residents blocked the path of the dump trucks using their golf carts. The message is very clear. The idea is that that material would then be used to fill as many potholes as they can with what is currently at the site. The problem, says Miller, is not the availability of sand. He attributes the delay to the inclement weather. While that may be the case, Michael Joseph, himself a resident, is not sold on the idea that the tourism project in San Pedro should take priority over fixing their faulty streets. 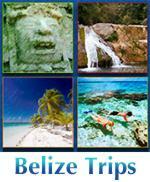 After all, Caye Caulker is also a tourist destination. Visitors and residents alike have been forced to cross wide pools of murky water by hopping from sandbag to sandbag. The village council chairman is in a pickle and breaching the agreement is not an option. …One that isn’t easily being bought by many of those who crashed a children’s Christmas party, hosted by the village council this afternoon, to get their message across. Minister of Tourism, Manuel Heredia Junior, was scheduled to visit the island today. But that visit did not materialize. I'm curious. Is anyone monitoring the uninhabited areas of the islands? Is this company able to go further north or south and take the sand they need to sell? 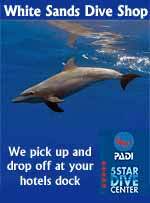 Also, are they regulated by the animal/fish/mangrove protection regulations? Local Fishermen/Guides are the best monitors of this sort of thing and do so often as it is usually known what is legit. The new dredges come into the public domain pretty quickly despite often being in remote locations. According to the San Pedro Daily there is some good news and at least some residents were appeased. The owner of the dredge Mr. Chamberland has offered to increase the 10% to 25% for the village and also offered to sell sand to villagers in need. Last edited by artisan; 12/21/13 05:02 PM. Last night we showed you the angry residents of Caye Caulker who say their precious white sand is being stolen from their Island and hauled to San Pedro. They believe that because the sand came from their island, it belongs to them, and should not be sent to San Pedro for any development. 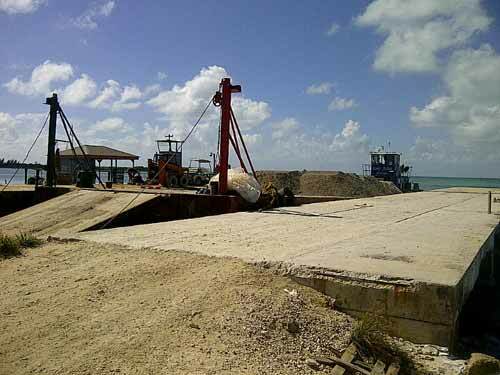 They stopped employees of Belize Marine and Sand Company Limited removing sand in protest, and they threatened to do so until the contract which allowed it to happen expired at the end of the year. The residents gathered around, metaphorical pitch forks at the ready. They were still upset with the sand that had been removed by barge. They'd been promised to meet the man, the representative of this private interest who they felt was swindling them. And just before 2 pm, he arrived, with a clear purpose: to meet the upset villagers and reason with them. Damian Chamberlain - Representative, Belize Marine & Sand Company Ltd.
"My name is Damian Chamberlain and the company I represent is called Belize Marine and Sand Co. Ltd. We have been doing dredge work for the entire coast of Belize for the last 6 years. 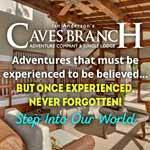 We have been active with this Caye Caulker sand business for 3 years now and this is our 3rd year." "How we got into it is there is a huge need for sand here, but the dredge cannot fulfill the need because it causes too much destruction, because many of you have house lots. We decided that the best thing to do would be to create a big pile, invest in a dump truck, invest in an excavator and sell sand by the truck loads too whoever wants to buy." "This is our 3rd year and in our 1st year we did well, we donated 167 loads to the village council in our first year; the school got some. Some individuals who couldn't afford got discounts, some got a little for free. The 2nd year once again, we left large quantities, delivered on site wherever for the use of the municipality and we sold some." "This, our 3rd year, we have sold 2 loads, 2 loads in 8 months. Nobody is buying the sand. The sand costs us over $60,000 to put there. Help me out here, the math isn't working. So, we got a buyer from San Pedro. They want 100 truckloads and we've got all our money sitting there, equipment rotting and rusting. What do we do? Of course we sell some." Chamberlain then immediately went on his campaign to convince them his company is fair. "When we got into this and when we wrote a contract with the village council, we wrote what I called a social contract. It wasn't to capitalize or make huge profit off the town's people here. It was to make the material available to help, make it so that you could filled your individual little lots; get yourself out of the mud and water that you are in. That's what it was for. It doesn't make a lot of money, it makes very little, but it does drive business for us and most importantly it allows us to keep our employees during the downtime." And then he started explaining the nature of the business between his company and the Village Council. "A large sum of money was owed to us. Somebody decide to donate a bunch of sand to you all, call me up, guaranteed payment, we came out here and we pump that sand and then that individual absconded without paying his bill. So, I came to the village and I said this sand is here, we pumped it for you, and we need to get paid for it. The response was that they don't have the money to pay for it. That's how it came into the empty lot back there, we rented it from you. 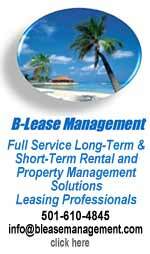 Let us pump sand there using your permit and let us take royalties from that sand and give it to you." "Ten percent is like this; it takes 10 cubic yards of sand to fill a small dump truck, it gives you an idea. We pumped 4,000 cubic yards up there at a time, which is basically 400 dump trucks. Ten percent of that is 40 dump trucks, so you automatically earned 40 dump truck loads immediately, whether I sell it or not. That has been forwarded in writing. Your 40 dump trucks loads are waiting here, come get it when you want." 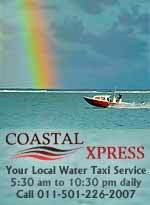 "If we do other jobs around the island, we guarantee you 10% on top of that. You get that as well, either in cash or in sand. It's written in our contracts." For most of the meeting, the crowd listened intently, but the residents have developed a natural distrust, claiming that their leaders have neglected them, so there were moments like this one. "You are talking about the village itself. If you continue digging and taking out then what will happen is that the island will start going down, erosion takes place." "You are saying to everybody that you love this island, if you love this island, you wouldn't be taking sand from here somewhere else. I am telling you, you wouldn't." "There are two ways to look at that. Let me give you my way. You are thinking of a rivalry with San Pedro." "This has nothing to do with San Pedro." 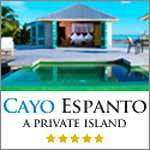 "We are thinking about the betterment for Caye Caulker. That's what we want." "If you don't want your sand to go to San Pedro, no more sand will leave the island." "We have made that decision already." "The next time you have something to say then call me and tell me." "I am not here today to talk about the obvious. I am not here to point fingers. I am not here to encourage your rivalry with San Pedro. I am not here to diminish your relationship with your village council, who by the way I think are doing a fantastic job." "I don't live here. I've been coming here since I was a boy. I own property here and my taxes are fully paid up. Check with the village council. I love this place. A lot of these people know me for many years. I come here often." "What I was about to get to was what I want to do right now today is I'm going to sweetened this deal right here on the spot right now. We are going to increase the percentage to the village council to 25%." When the residents started understanding the significance that truce, they started signing up. "If you are saying if we buy the sand in Caye Caulker, it's not going to be taken to San Pedro?" "Who do we speak to about buying your sand?" "I am prepared to buy 3 truckloads of sand. Who am I supposed to approach right now?" "Right here, I'll take your name down." "Do we have a guarantee now that no more sand will leave Caye Caulker to San Pedro?" "Do I have a guarantee that you all are going to buy some sand today?" "Isn't this enough proof? That's what we wanted." After that hour long meeting, chamberlain told us that he felt that he won them over after clearing up that he wasn't an adversary. "Pure miscommunication and lack of the appropriate knowledge." "What is your final position at this time once the villagers keep up with the buying of the sand? It will stay here?" "Yes, the sand will stay here and we will continue to pump sand and if we keep this program alive we will get this place looking fantastic, that the next rainy season comes and it will be fine." Today, Chamberlain also explained that his contract with the Village Council actually expires in 2016. What expires on December 31 is his permit which the Department of Petroleum and Geology grants him to dredge for the sand. Without that permit, which he will apply to renew, he cannot continue to dredge, but the present sand that he has in Area A still belongs to him under the arrangement of the contract with the Council. He also told the residents that his company has made several concessions with the past council's administration, which has been to his company's expense in terms of sand donation for road repairs. So, where did the sand from the 2 last week's ago? Well, according to Chamberlain, he was contracted by the Ministry of Tourism to provide it for the Sustainable Tourism Program, which, as we showed you, is making major upgrades on San Pedro.